Kristen Hammock currently serves as the Coordinator of Field Engagement at the Michigan Health & Hospital Association (MHA). She has worked at the MHA for 5 years assisting in the coordination of event and meeting planning for the MHA and the MHA Keystone Center (the patient safety & quality division of the MHA). 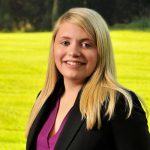 Kristen also leads the association’s wellness efforts which include, serving as the coordinator of the MHA Michigan Green Healthcare Committee, a member of the MDHHS 4X4 Health & Wellness Committee, and a member of the Healthy Kids, Healthy Michigan Steering Committee. Kristen has a bachelor’s degree in Sociology and Anthropology from Lake Forest College.